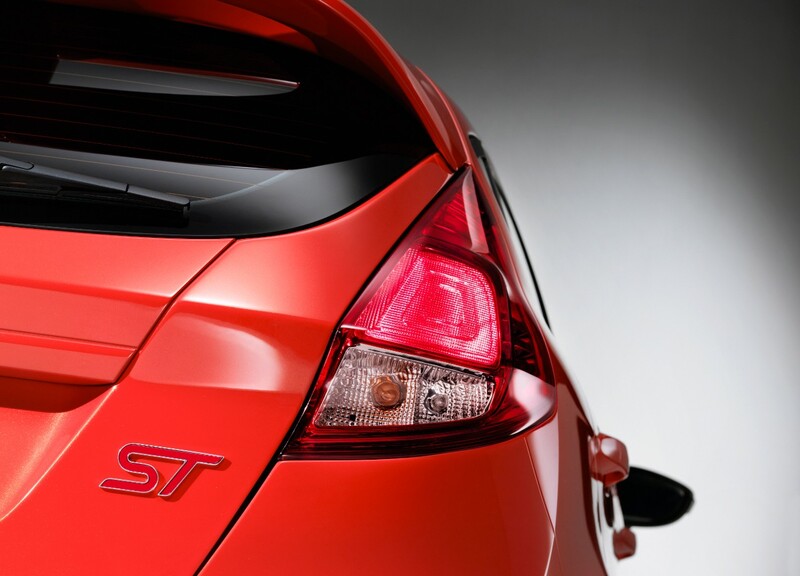 The Fiesta ST Concept combines eye-catching, muscular and sporty styling with a dynamic sports chassis and a high-performance power-train capable of delivering impressive fuel economy with low emissions. A global Fiesta ST would extend the proud, 35-year Fiesta history of delivering high- performance thrills to small car customers. 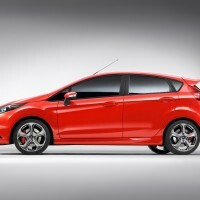 Iconic past models include the European Fiesta XR2 and XR2i, Fiesta RS1800 and RS Turbo, and the more recent first-generation Fiesta ST. 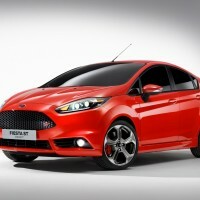 The five-door Fiesta ST Concept shows the promise for a globally available performance model. 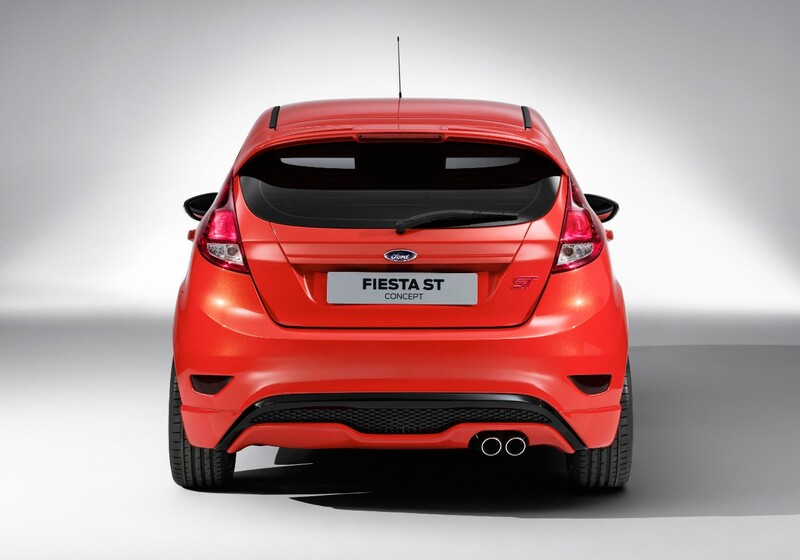 Bold and distinctive, the five-door Fiesta ST Concept embodies the spirit of Fiesta’s high-performance history with an infusion of dynamic, futuristic looks and innovative technology. “The Fiesta has a rich history of high-performance models so a new ST performance model is a logical next step in our performance vehicle strategy for our global small cars,” said Derrick Kuzak, Ford group vice president, Global Product Development. 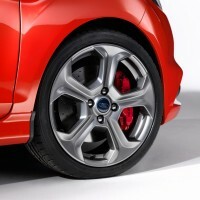 The Fiesta ST Concept continues that tradition by showing how a global performance version of Ford’s best-selling B-car can be both technologically advanced and dramatically styled. 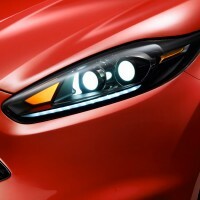 “With a racing silhouette inspired by global Fiesta race and rally cars currently competing on the world stage, and influenced by the unique appearance of the all-new Focus ST, the new Fiesta ST Concept is an exciting demonstration of the road-going Fiesta’s potential,” Kuzak added. With the Fiesta RS World Rally car and Fiesta Rallycross cars currently demonstrating the potential of Ford’s global small car in the toughest of international motorsports events, there could be no better time for Ford to offer customers a glimpse of what is technically possible with the road-going Fiesta. Like Ford’s World Rally Championship contender, Fiesta RS WRC, the Fiesta ST Concept uses a 1.6-liter Ford EcoBoost® gasoline engine to deliver high-level performance. The use of a 1.6-liter turbocharged unit in the Fiesta ST Concept and Ford’s EcoBoost downsizing strategy in general reflects not only the current WRC engine guidelines but also the trend within international motorsports to deliver greater fuel economy through technological advancement. 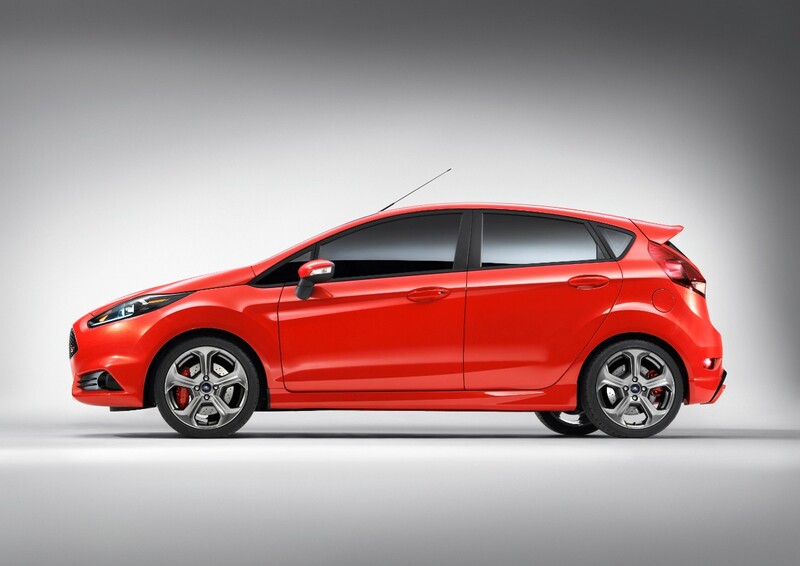 As with all engines in the EcoBoost family, the Fiesta ST Concept’s advanced engine combines turbocharging and direct injection to deliver the powerful performance of a larger-capacity, traditional gasoline engine. 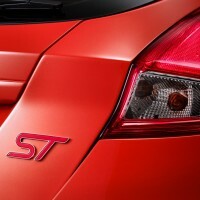 Like the 2.0-liter EcoBoost engine that will power the production Ford Focus ST, the 1.6-liter EcoBoost in the Fiesta ST Concept also features twin independent variable camshaft timing (Ti-VCT) and has been specially developed to provide power and torque worthy of the ST badge. 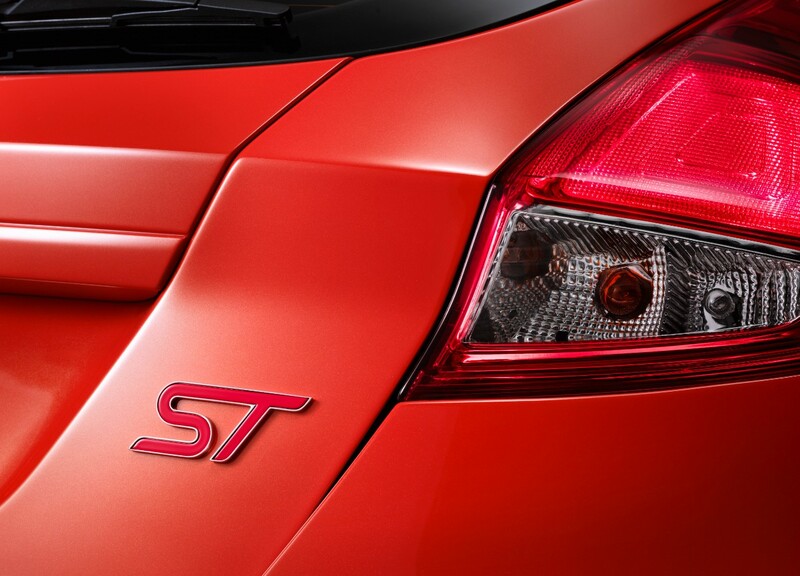 In the Fiesta ST Concept, the 1.6-liter Ford EcoBoost engine achieves a target output of 180 horsepower with 177 lb.-ft. of torque. 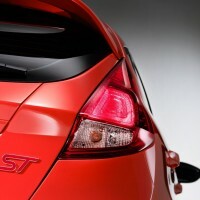 Yet the advanced design of the turbocharged four-cylinder engine – connected to a six-speed manual transmission – means the Fiesta ST Concept also delivers lower emissions. 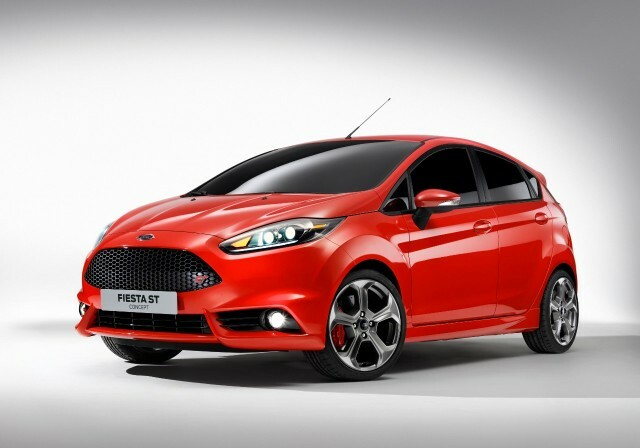 Improving fuel economy and emissions remains one of the driving factors behind Ford’s continuing development of the EcoBoost engine family, with the Fiesta ST Concept proving that responsible and attractive fuel economy need not come at the expense of performance. 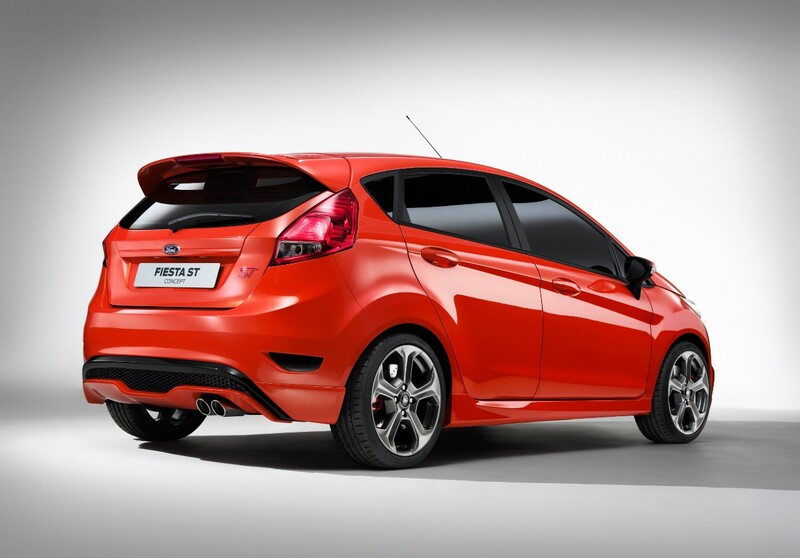 The Fiesta ST’s bold and assertive styling makes an immediate impression and drives home the high-performance message with a number of striking features and design themes. 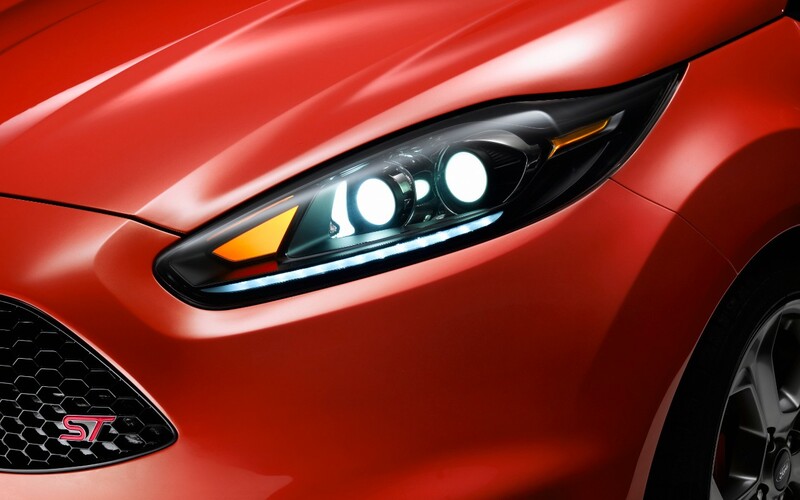 The large, distinctive trapezoidal grille echoes a key feature of its larger sibling, the new Focus ST, and incorporates a honeycomb mesh design. 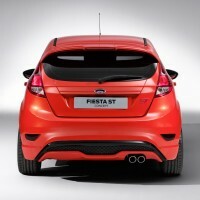 At the rear a dramatic diffuser design leaves no doubt as to the sporting credentials of the Fiesta ST Concept. The diffuser also envelops a twin-exit exhaust. A lowered stance, widened wheel arches filled with 17-inch alloy wheels and full ST body kit mirror the styling of the Ford Fiesta WRC competition car – an alluring form that also delivers racing functionality. Taking inspiration from Ford’s competition Fiestas in the World Rally Championship, Global Rallycross Championship, European Rallycross Championship and X Games, the Ford Global Performance Vehicles group has developed the Fiesta ST Concept to deliver uncompromised sports performance and handling. 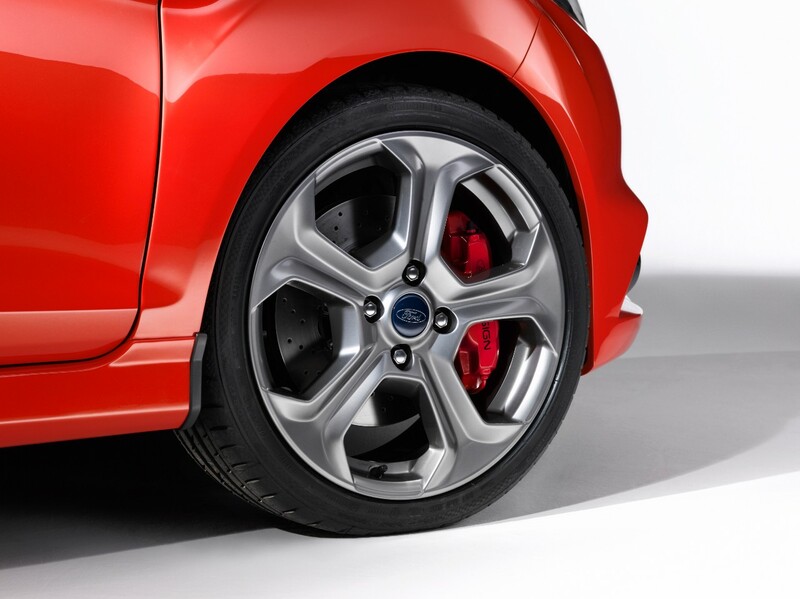 Tuned suspension geometry ensures dynamic and competent handling that can flatter less-experienced drivers while rewarding those seeking to push the limits of the Fiesta ST’s sports performance. “With the Focus ST we promised to deliver uncompromised sports performance and styling to a truly global audience for the first time, without sacrificing Ford’s key values of Quality, Green, Safe and Smart,” said Jost Capito, Ford director of Global Performance Vehicles. 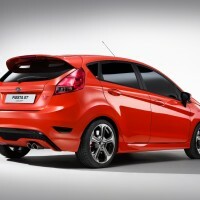 “With the Fiesta ST Concept, we are demonstrating that our global performance plan has legs.